One of the many things that some users have complained about Windows 10, is the most essential thing is having to associate a Microsoft account to be able to use the operating system and make the most of it. While others may find it convenient for all our data and settings to be synchronized with our email, others may be annoying, especially if they had never created a Microsoft account and had to do so only because the new operating system screams for it. 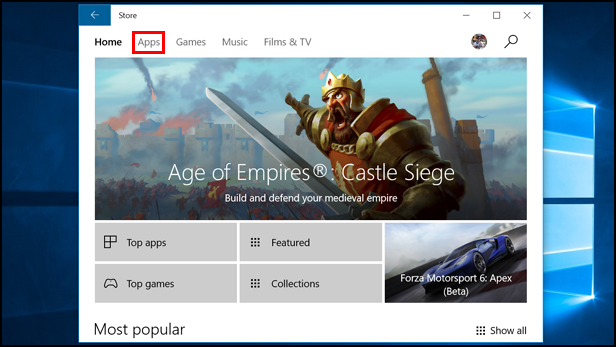 While you can sign in to Windows 10 without an online account, you can not download applications from the Windows Store without associating a Microsoft account. This may not represent anything new when we think of Apple or Google app stores that ask for the same thing, but when we talk about Windows on a computer, it is not something you are used to. Well now Windows 10 Pro users no longer have that problem. It seems that the Redmond are relaxing a little more with these types of requirements, and for now Windows 10 Pro users can verify that they do not need to log in with a Microsoft account to be able to download free applications from the Windows Store. Something extremely useful if a computer is used by several people, or an institution and does not belong to a single individual. The feature is not available for Windows 10 Home users, and in the case of payment applications, you are required to use an account, probably because of payment method issues and so that the purchase can be associated with a specific person Which can be retrieved later. Whether or not the feature will be sold out to all versions of Windows 10 is something that remains to be seen. Microsoft has not made any official statements about it, and technically it is a minimal thing that users have been able to check casually for themselves. However, it speaks well in terms of the flexibility they seem to be giving the operating system, as when they recently demonstrated that we could uninstall the apps that come by default. It is another step forward.